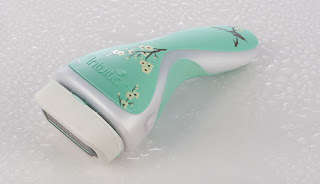 While most of us our gearing up for the fall, Schick Intuition has me happy it's still summer with their release of their summer 2011 Limited Edition Razors! Available in 3 varieties (Pomegranate Extract--Hot Pink, Moisturizing Care Pack--Light Pink, and Naturals--green) these razors lather, shave, and moisturize in one easy step leaving your skin noticeably soft. Really, it doesn't even feel like your shaving! My legs felt so incredibly smooth after, and the shower hanger and travel cap make storing a snap. I love it! 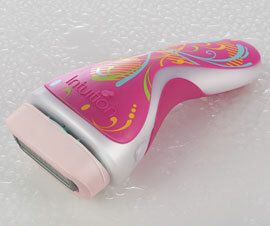 Four-Blade enhancement--Keeps skin sager from nicks and cuts. 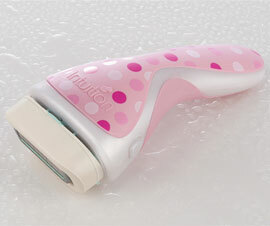 Allows for precise shave, with a pivoting head that follows the contours. And makes it easier to experience a flawlessly smooth shave. Enhanced Skin Moisturizing Solid--Eliminates the need for shave gel, soap, or body wash. Contains shea butter, Vitamin E and aloe to soothe and moisturize skin. One-of-a-kind Ergonomic Handle--Slim design fits comfortably into the hand. No-slip rubber grib on sides allow for precise control. The Schick Intuition limited-edition designs are available at top retailers and will only be available till the end of August. A limited-edition handle, 2 refill cartridges, a shower hanger and convenient travel cap to experience and awesomely smooth shave! "Like" Babblings of a Mommy on Facebook. (Be sure to mention the giveaway on the wall) then come back here and leave me a comment telling me you entered. *Please remember to leave me your email address. Winner will be notified via email. Remember each one counts as a different entry so be sure to enter them separately. You may tweet once a day if you'd like, but be sure to leave comment on post about your re-tweets. I do check and verify entries. Giveaway ends September 5th . A winner will be selected by random.org and will be notified via email. UPDATE: Congratulations to jebond76@gmail.com and grahamcrackerbabykisses@gmail.com you're BOTH the winners of the Schick Intuition Giveaway!! I'll be contacting you both shortly. Liked you on facebook & left a comment. I like you on facebook as Jess Toothman and left a comment! I like Schick intuition on facebook as Jess Toothman. I follow Schick intuition on twitter as @Jtooth12. I "like" your FB page as posted on the wall! I follow Schick on twitter. I liked Babblings of a Mommy on facebook & wrote on your wall! Already a FB fan as Christina Graham. I follow Schick Intuition via FB as Christina Graham. I follow Schick Intuition via Twitter as gcbabykisses. I like Schick on FB. I like Shick Intuition on facebook. I liked Babblings of a Mommy on Facebook! I liked Schick Intuition on FB! I followed @SchickIntuition on twitter! Liked you & posted on FB! 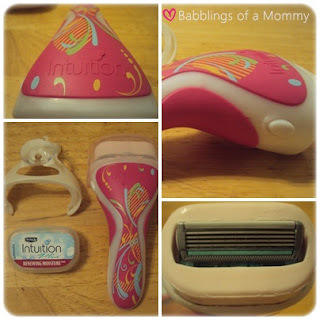 I entered the Schick Intuition giveaway. I liked you on facebook and mentioned it on the wall! !